The striker looks to be a 'changed' man under the Englishman and is showcasing the different facets to his game. 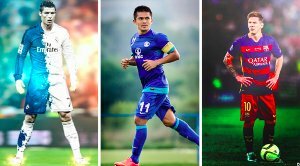 Chennaiyin FC’s 2016 Indian Super League (ISL) season was one to forget for the fans. After winning the title in 2015 thanks to the explosiveness of Stiven Mendoza, the Marina Machans were in a good shape under Marco Materrazi and were quite confident going into the 2016 season even though they had lost their talisman. All hell broke loose and Chennaiyin FC (CFC) were abysmal the entire season and finished a sorry 7th on the table. On March 6th, the club announced that they had parted ways with Marco on mutual consent. An air of mystery surrounded the club and the fans were left to wonder as to who the next gaffer will be. 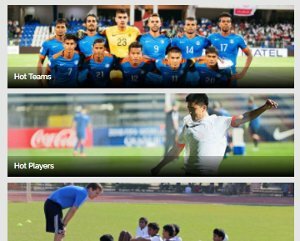 These comments gave the fans an idea of how the Marina Machans were going to play this season. The likes of Raphael Augusto, Gregory Nelson, Jude, Rene and Gavilan were seen as players who could propel the team to a 2nd title but the efforts put in by the Indian players in the side cannot be put into words. Chennaiyin FC were to begin their campaign against FC Goa who were also sporting a new manager in Sergio Lobera. His credentials as a former Barcelona youth manager meant that FC Goa were going to play the Spanish way and if it were to click, FC Goa would be a very tough team to stop. John Gregory began his ISL campaign with a three-man defensive line and he had expected that his team were going to hold on to the ball much better than they did. Much to his dismay, the whole team were a bundle of nerves and they surrendered a 3-0 lead within just 40 minutes into the game. 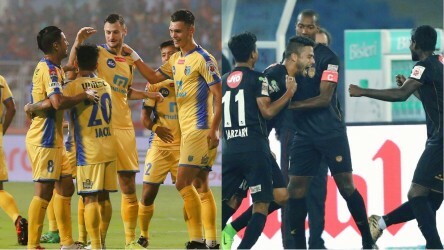 Although Chennaiyin did pull 2 goals back towards the dying minutes of the game, the performance on the field was very poor and it looked like the Chennaiyin FC of the 2016 season. John Gregory was humbled in his very first outing as the Chennaiyin manager and he knew he had to switch things in the second game against NorthEast United FC. He made four wholesale changes to the line-up for their second game and played a back 4 this time with two holding midfielders, Dhanapal Ganesh and Bikramjit Singh. The two calmly ran the show for the Marina Machans. The midfield battle was completely one-sided and NorthEast United had no answers for Chennaiyin’s attacking prowess. The team looked a lot more settled and it seemed like John Gregory had finally found his picture-perfect starting XI. There was still one man who was not getting recognised for his hard work. The media and the press were all over Raphael Augusto’s amazing performance. Taking nothing away from the Brazilian’s performance as it was his quick feet that gave the goals but this player’s intent and his off the ball movement paved the way for the free-flowing football that Chennaiyin FC showcased in their match against the Highlanders. It was none other than their Mizo sniper, Jeje Lalpekhlua. Jeje was not the kind of forward who would provide the team with this kind of versatility. We see these kinds of players in European football who might not score as much but their movement is what paves the way for the team to score. The likes of Alexis Sanchez and Roberto Firmino help their respective teams with their high work rate, constant pressing and astounding off the ball movement. Right from his days at Mohun Bagan and up until the Materazzi era in CFC, he was only used as an out and out striker and this new leaf looks to be a refreshing change. After going goalless in the first three games into the season, Jeje finally got what he rightfully deserved and opened his account with a brace. One might not see it right away but every single chance that Chennaiyin create will have surely gone through Jeje at one point or another. He is not the tallest player but his hold up play is better than any striker in the country. Jeje is truly a blessing to this promising Chennaiyin FC side and John Gregory needs to be praised equally for unlocking this of Jeje’s football. Another facet of Chennaiyin FC’s game is the intimidating presence of the midfield. Dhanapal Ganesh and Bikramjit have cemented their position in Gregory’s starting XI. Bikramjit’s relentless pressing and Dhanapal’s composure on the ball make it easier for the back four to defend with these two men helping clean things up. John Gregory tested the partnership after the FC Goa showing and the pair had an instant impact. 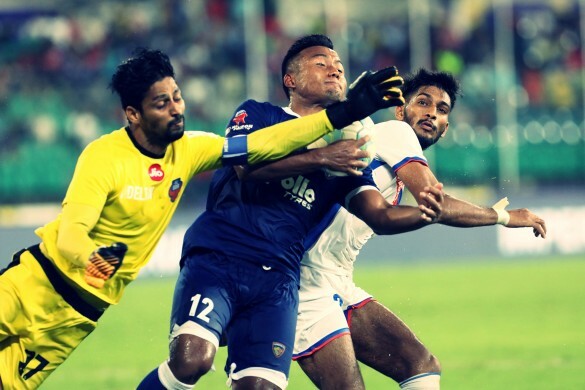 In fact, Chennaiyin FC went on a 3-game winning streak post their first match loss. The Marina Machans are playing a brand of football that is completely different from what they played under Marco. The players have a good understanding of each other’s game and with every passing game, their performance has either improved or stayed the same but has never dipped. Chennaiyin FC are currently placed 3rd on the table with 9 points out of a possible 15. With a bit of luck on their side and some consistent performances throughout the field, Chennaiyin FC can realistically challenge for their second ISL title this season.